How do I join the PPS? Why should I join? Please see the “About” page for more information on becoming a member and the many benefits of membership. In a nutshell, Portland Photographic Society offers a lot, at a low price. With well over 100 hours per year of field trips, education opportunities, and image sharing, your $35 annual dues go a long way. Examples of what we do can be seen on our Calendar, using the blue buttons to go back in time and look at our past meetings. Unlike online platforms, the PPS is primarily an in-person group dedicated to photography. You don’t have to have the latest gear, the most likes, or the most posts on a forum — you just have to love photography. So if you want to get out and see new places, learn new things, meet new people, and most importantly, make and share photographs, come by for a visit! Meetings are normally held Monday nights from 7:00 pm to 9:00pm, at the following address. Although we meet in a church, we are not affiliated with any particular faith or religion, and are open to all. Feel free to stop by a meeting and check us out! Because we don’t meet on every Monday, and we also have field trips around the Portland area, please check the Calendar for upcoming meetings. 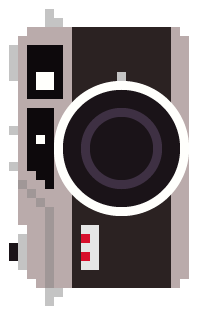 Can you help me with my camera? Maybe! Given the multitude of cameras available however, it’s unlikely that we can provide specific instruction on a particular model. Usually, sitting down and reading the manual to your camera pays dividends in the long run, even if it is sometimes tedious. Additionally, we have put together a list of educational resources that may be helpful as well. Can you recommend places to take photos in Portland? Yes, we have put together a guide to photography in Portland that may be helpful in getting you started. We are able to reach out to our members via our mailing list, who may be able to provide photographic services, depending on your request. For non-profits and charitable enterprises, we have successfully matched up PPS members with groups needing volunteer photography services, so please contact us with the details. The PPS is a non-profit, all volunteer organization, so we do not have traditional jobs or internships available. However, there are many opportunities for volunteering within the PPS, including leading field trips, teaching, arranging guest speakers, helping with meetings, and even formal board of directors positions. For younger photographers considering a career in photography, membership with the PPS can provide a low-cost way to get out and take pictures, build a portfolio, and meet other photographers in the community. We have members who may be willing to act as mentors or references for college, scholarship or job applications. Will I fit in with your group? The best way to find out, of course, is come to a meeting, especially one on a topic that interests you. 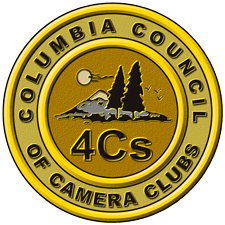 We pride ourselves on being one of the most diverse and inclusive photographic clubs, in terms of membership (ranging from teens to seniors) and photographic interests (touching nearly every area of photography). We are open to people of all backgrounds, and welcome new perspectives. We have over 65 members as of 2015.